Earn 229 loyalty points when you order this item. 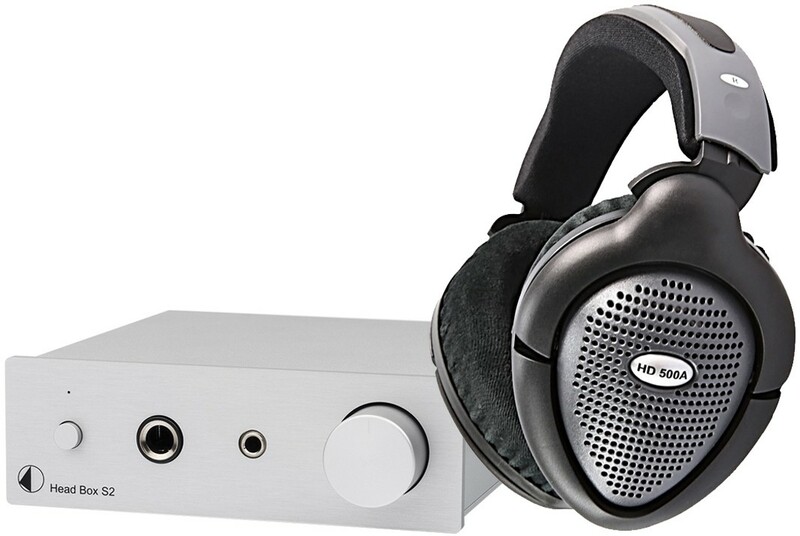 Expertly matched great value headphone package combining design and technologies from two world-renowned audio manufacturers; Sennheiser HD500A Headphones and Pro-Ject Head Box S2 headphone amplifier. Sennheiser HD 500A are open air headphones designed to fit around the ear with incredibly comfortable ear cushions. 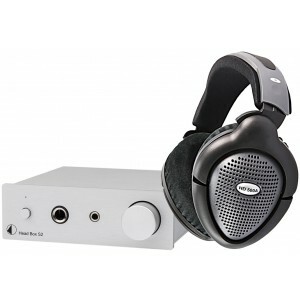 They deliver excellent sound quality with punch bass, a smooth and natural midrange and exceptional treble performance. The single sided cable is detachable and less prone to getting tangled than some other designs. Pro-Ject Head Box S2 has enough power to unleash the best sound quality from any headphone. It features a rich and full sound performance with plenty of dynamics and impressive transparency. For more information on the amplifier, please visit our main Pro-Ject Head Box S2 page. For more information on the headphones, please visit our main Sennheiser HD500A page.